Rut (noun): a habit or pattern of behavior that has become dull and unproductive but is hard to change. There have been many a time where I’ve been stuck in a rut, and it always seems to be in the dead of the summer. I’m always feeling unproductive, bored and feeling as though I need a change. It makes me feel miserable and gross and there were times that I really believed I would feel this way forever. I think we all go through phases of feeling unmotivated and stuck but we have no idea how to get out of it. After feeling this way many times, I’ve learned that a few different things really help me gain back some of that motivation that I’ve been lacking and get back up on my feet! Today I want to share a few of these with you, incase you’re stuck in a rut, too! Think of something you want to learn more about and do some research online. I love to learn, and when I have the opportunity to learn about something I’m truly interested in, I feel motivated to keep on learning. Not only am I using my brain power to learn something, it’s also a distraction from my own life. And sometimes that’s just what you need. I notice that once I actually start to journal words and thoughts just flow. It’s a way to clear my mind and get my thoughts down on paper. Then I can read them over and work through some of my feelings. There are so many days where all I want to do is wear sweatpants with my hair up but I notice I always feel better after I actually get ready for the day. Seeing others who have their lives together makes me want to get my life together. I love using other bloggers as motivation to accomplish my goals. They’re real people with real lives too, and that shows me that if other people can get it together, so can I! 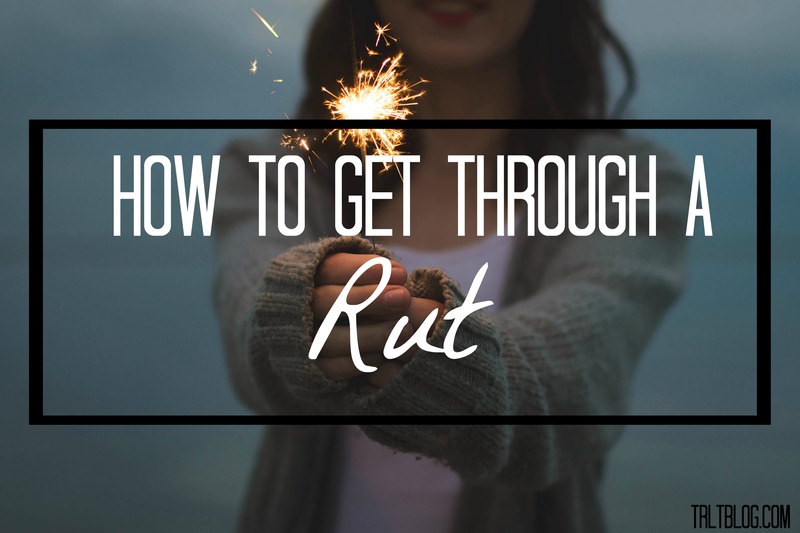 Have any tips/tricks on how to get through a rut? Leave them in the comments below!